This afternoon we drove east towards Menagawa. Mildish weather returned. 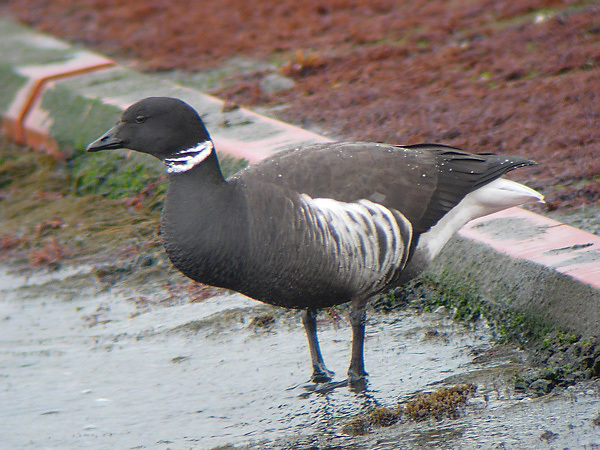 Brent Geese were everywhere (the subspecies nigricans I believe). 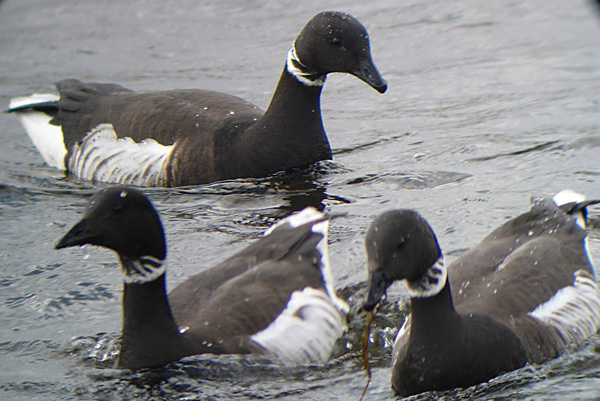 Common winter vistors to southwest Hokkaido it seems every small inlet/fishing harbour has its own small group of Brent Geese. The above individuual was fairly easy to photograph but once they get onto the sea it becomes pretty hard. 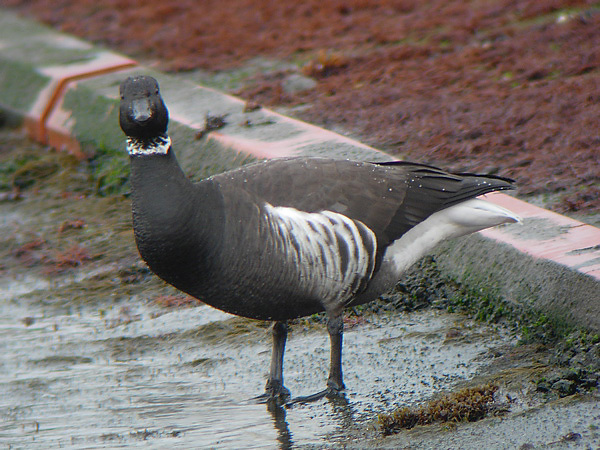 I remember the first Brent Geese I ever saw. Felixstowe ferry in Feb 1984 (?). Me and a friend were actually looking for a Red Breasted Goose that was with the Brent Geese flock. I was 14 or 15 years old. We tried to get nearer the Geese but my friend somehow managed to get stuck in the mud and the suction when I tried to pull him out claimed one of his Wellington boots. We were both covered in oily foul smelling mud at this stage (although I at least had a full complement of footwear). We had to walk back into town to meet our lift covered in mud and with only 3 shoes between us. On a Saturday afternoon too. The Red Breasted Goose wasn't there of course. Not much else of interest. The usual Cormorants, common seaducks including Harlequin Duck, Glaucous Winged Gull, Whooper Swan, Japanese Wagtail, Slavonian Grebe and a distant Diver (which I watched for about 5 seconds as we awere waiting at some roadworks) that was probably a Pacific Diver. The roadworks allowed me to fume and rant about the absurd employment of useless retirement age men waving red batons to ask us politely to slow down/not to crash into the roadwork crews. hey, how are you? I actually checked out your blog during the week when i saw your post about the Thayer's and Taimyer. Both good for those species by the way. You have very different birds up there too!! I have plans to link you this weekend when I update the blog again. I have just been too busy at work. thanks for dropping in. Saw Shore lark, Saunder's gull, brent goose, and sanderling last weekend near Nagoya, Mie prefect. Nice birds.